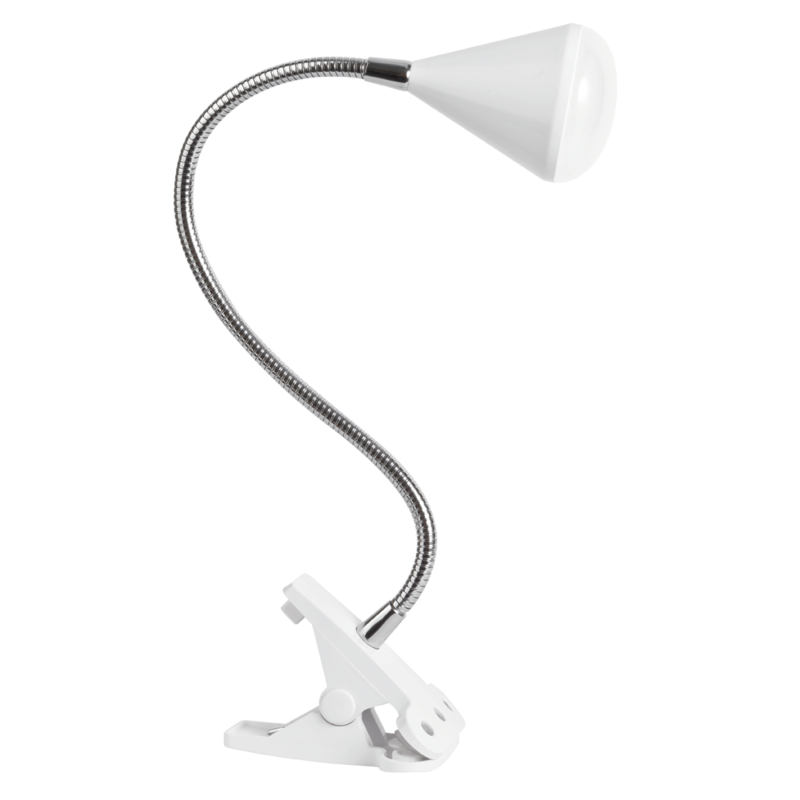 The flexible LED Cone Clip Lamp allows you to position OttLite LED Illumination at nearly any angle, and easily attach it to your desk, table, and many other surfaces. 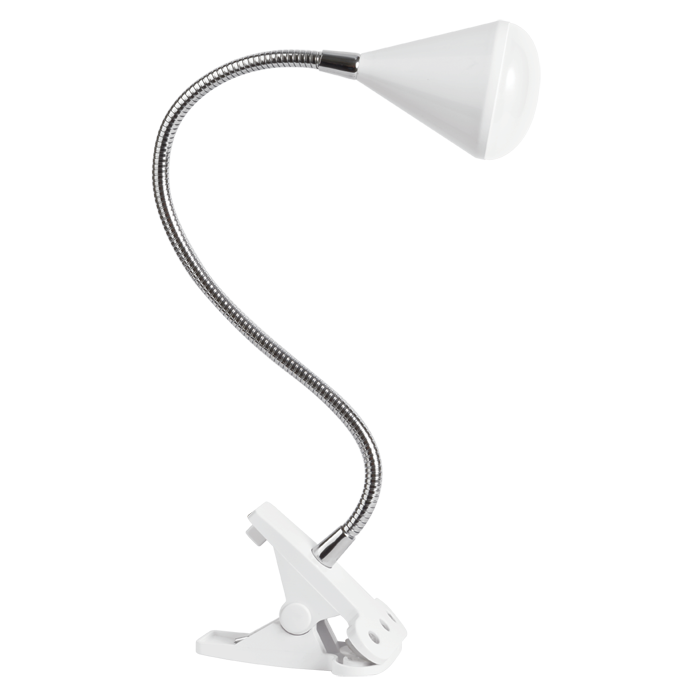 Features 8 Super Bright Natural Daylight LEDs rated to last up to 40,000 hours. 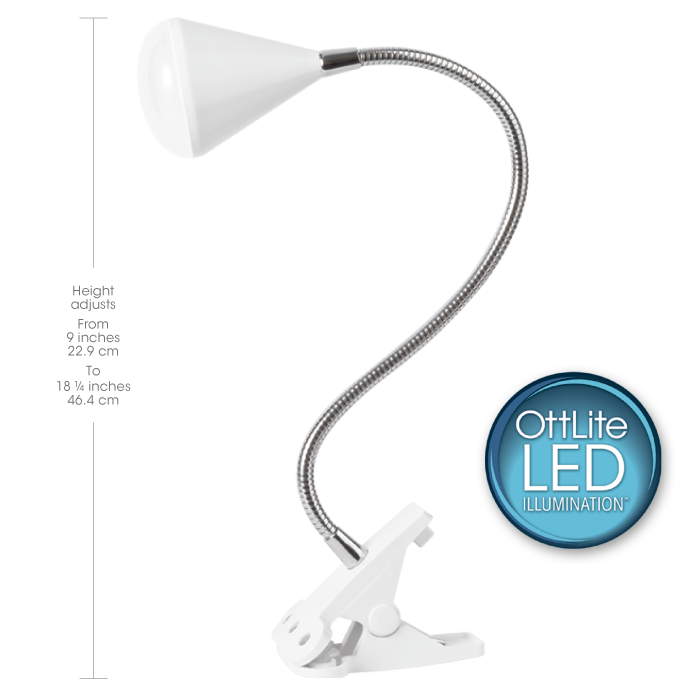 OttLite LED lighting is energy-efficient and earth-friendly.